Maryland state Sen. Nathaniel T. Oaks, already facing fraud charges related to a phony west Baltimore development scheme, was charged Wednesday with obstruction of justice in a superseding indictment. The new indictment accuses Oaks of agreeing to cooperate with the FBI in January by recording his conversations with the target of a new investigation but then tipping off the target, “thus thwarting the FBI investigation and obstructing justice,” according to a news release from the U.S. Attorney’s Office. An initial appearance in U.S. District Court by Oaks related to the new charge has not been scheduled, prosecutors added. A trial on the pending charges has been scheduled for April. Oaks, D-Baltimore City, allegedly approached the new target on multiple occasions in March and told him to “just say no” to a question Oaks would be asking him. The statements “were intended to dissuade (the target) from engaging in the activity what was the subject of the criminal investigation” and the target understood he was being warned not to engage in the activity because a criminal investigation was underway. 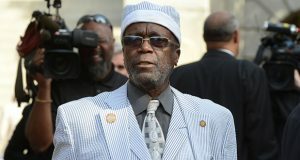 Oaks was charged in April with wire fraud and accepting illegal cash payments allegedly made to him in 2016 when he was in the Maryland House of Delegates. He was indicted on additional charges in May, including accepting bribes in exchange for using his position to influence business matters for another individual. In September 2015, a cooperating individual introduced Oaks to a confidential informant who portrayed himself as an out-of-town businessman interested in obtaining contracts in Baltimore through a real business operated by a different cooperating individual. The developer created a fictitious plan to develop a property on Druid Lake Drive, which is outside of Oaks’ district. In recorded phone calls and in-person conversations, Oaks allegedly accepted more than $15,000 in return for writing a letter to what the senator thought were Department of Housing and Urban Development officials in support of the bogus proposal. He also sponsored legislation to secure state funding for the project that was filed last summer in advance of the 2017 General Assembly session. In addition to a possible prison sentence, including 20 years for the obstruction of justice charge, federal prosecutors are also seeking a forfeiture of any assets that can be traced to the alleged crimes as well as the $15,300 in bribes Oaks is accused of accepting. Oaks announced in June that he would remain in office and fight the charges. Daily Record government reporter Bryan P. Sears contributed to this report. It’d be really interesting to know who the “target” is….